Hey everyone! 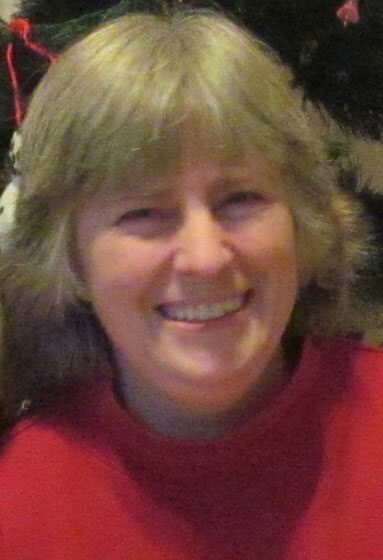 Today I’d like to welcome Libby Heily to The Five Year Project. She’s here to tell us about where her newest main character, Grape, came from. 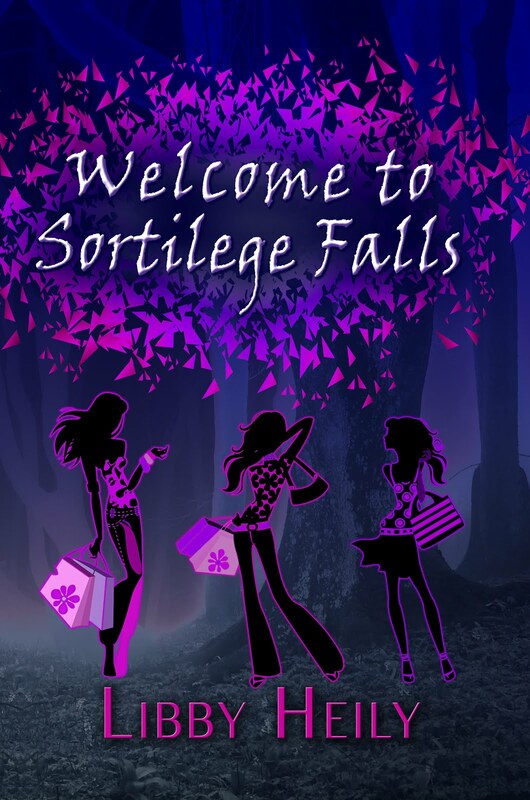 Welcome to Sortilege Falls is my second novel. My first, Tough Girl, was about an eleven-year-old who is bullied and starving and loses herself in an imaginary world to combat the misery of her life. I wanted to write something happy after that and WTSF is about as “happy” as my writing gets. The idea was to come up with a main character whose very name sounds like a smile, thus Grape Merriweather was born. Stories grow and writers hardly ever end up writing the book they intended. That is definitely true with WTSF. My “happy” story grew to encompass the themes of beauty worship, celebrity, as well as delving into the mysterious relationships between child stars and their parents. But I tried to stay true to my original idea of Grape. She’s not without her troubles and woes. In the beginning of the novel, Grape is new at school and eager to impress. She spends over an hour the night before trying on outfits to find the perfect one. But she is ignored by students and teachers alike. Everyone is too caught up with the beyond gorgeous models to bother with one new student. The more time passes, the more Grape realizes that Sortilege Falls is not what it’s cracked up to be, and she’s going to find out why. We discover this weird world along with Grape and I tried to stay true to her voice. It was very important to me that Grape wasn’t perfect, that she partially fell under the Models’ spell. 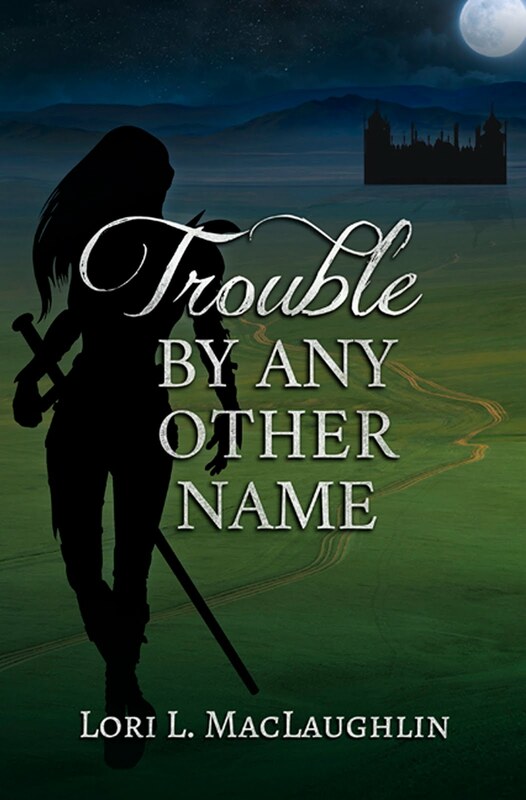 She fights throughout the novel to make her own decisions and not bend to the Models’ will. Hopefully, Grape comes across as a complex character. She stands up for herself and her friends but she also senses social pressure and makes awkward comments to try to fit in. She wants friends and to be liked. Don’t we all? But she won’t allow herself to be pushed around either. “Calm down,” the vamp kid from school said, his hands raised in the air like a victim. He had switched his purple shirt for a black one and slicked his curly hair back as well. “It’s cool. It’s just me,” he said and reached out to grab her shoulder. “You’re sneaking around my house at night wearing all black.” She readied herself to swing the lawn chair. It was pretty light and wouldn’t do much damage so she decided to aim for a vulnerable spot—his face. “Do I look nice now?” She gave the chair a swing, missing his nose by inches. She hopped back a little and held the chair up high again. He got one warning shot, that was it. The next swing would break his nose. “Shoo! Go! Off with you!” She shoved the chair at his chest, driving him backward. He gave her one last dejected look and walked around the corner of the house toward the street. Grape rushed back into the house, chair in hand. She locked the door. If Brad didn’t have his key, then he’d just have to knock and risk alerting their mother to his late-night shenanigans. She was not leaving the door unlocked for that boy to break in and serenade her. Are you a book reviewer? You can find Welcome to Sortilege Falls on Netgalley. Fun facts about me: There are none. I’m sorry to disappoint you so soon. But, I do love to read, write, and run. My hubby is my favorite person on earth. Dogs are my second favorite. All dogs. I love orange juice, especially when it’s mixed with club soda. Carbonation is better than alcohol. Jaws is my favorite movie. Everything I’ve said so far is true. Hey everyone! Today, Chrys is visiting to share tips on creating titles for stories. Take it away, Chrys! Coming up with a title can be tricky. Sometimes we come up with a great title right away. Other times, we’re half-way through our first draft when a title comes, or even after we’ve edited our manuscript several times. Occasionally, our titles change during the writing process if we come up with something better. 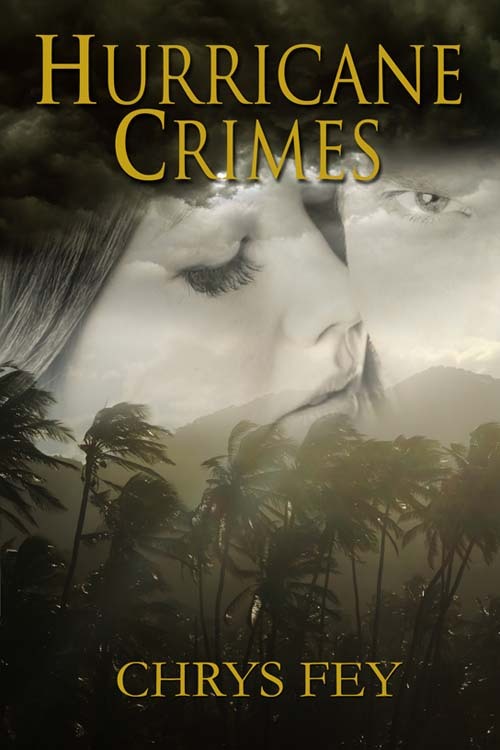 My published books are dark and suspenseful. Death and crimes are common. 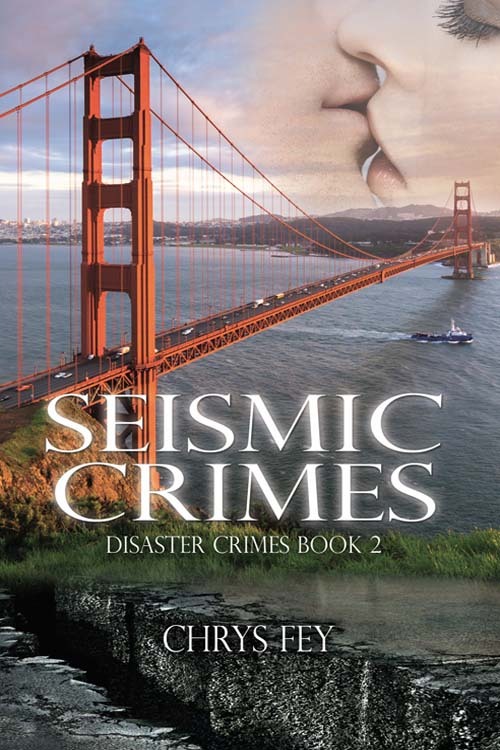 Immediately when you read Seismic Crimes you know what kind of ride you’re in for. 2. Think about the main character. For a paranormal story, it’s clever to add the type of supernatural being that your MC is to the title. Or to at least hint at it. For example: Despite the Fangs by Dylan Newton is about a woman who is the Alpha of a werewolf pack. In The Hunger Games by Suzanne Collins, Katniss Everdeen has to fight in a deadly competition called the Hunger Games. What happens in your story? What does your character have to do? Consider your answers and see if a title pops out at you. Seismic describes earthquake activity but it also works as an adjective. When I think seismic, I envision monstrous chaos. QUESTION: Do you think I chose the best title? Hey everyone! Today you won’t be able to find me on the bloggosphere, but I wanted to stop by to welcome the Insecure Writer’s Support Group. Also, thanks to everyone who’ve commented on yesterday’s post. You’re all awesome. Have you ever engaged in a thought experiment? Albert Einstein’s famous Theory of Special Relativity came to be in part because of a thought experiment he conducted when he was a young man. He imagined what it would be like to chase a light beam. That act of imagination was the beginning of a revolution in the way we understand our universe. Imagination is one of the most powerful tools we have at our disposal. The ten authors featured in the Insecure Writer’s Support Group anthology Parallels: Felix Was Here engaged in a thought experiment of sorts when they sat down to write their submissions. 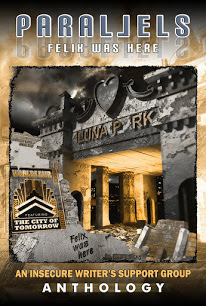 The task was to write a speculative fiction story that uses an alternate timeline or parallel universe. That means asking some interesting questions. If you’re dealing with parallel universes, how does the parallel universe differ from our own? If you’re dealing with alternate history, what historical event happened differently, and how did the world develop because of that change? Any writer must harness the power of their imagination when writing their stories. Though the thought experiments that helped make this anthology possible won’t revolutionize the world of science like Albert Einstein’s thought experiment did, these stories will hopefully entertain readers and make them think about how the world could be different. That is also a valuable outcome, and one that most writers hope to inspire. Imagination can change lives. It can change the world. If you’re interested in entertaining new possibilities, Parallels: Felix Was Here may have something to offer you. Anyone else engage in thought experiments? What stories did they inspire? Welcome to The Five Year Project! First things first. Why don’t you tell everyone a bit more about yourself? Thanks for having me. 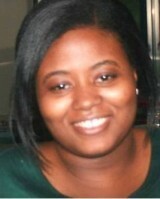 I’m an author and also a playwright and screenwriter. I’ve had one play produced at two separate venues, and that play was then turned into a short film that premiered in San Diego last November. On top of that, I write Sherlock Holmes stories and have just had my novel The Fall and Rise of Peter Stoller published by Tirgearr Publishing. More personally, I grew up in Texas and attended UT Austin. I did the Shakespeare at Winedale program there and later used what I’d learned to teach Shakespeare at summer camps. I also interned on the film set of Hope Floats. Then I went to Boston to get my graduate degree at Emerson College, and that’s where I met my now husband Scott. Boston is great in a lot of ways, but driving in snow and ice gave me panic attacks, so we moved to California, which is where we live with our three kids and a hamster. Sounds like you’ve had a very interesting life. Tell me a bit more about The Fall and Rise of Peter Stoller. What’s it about? What inspired you to write it? The book is set in the 1960s and is about a gay British spy (Peter) whose lover is accused of being an enemy agent. Peter manages to escape with Charles, but then he begins to wonder whether the accusations could be true. When he’s offered a chance to return to the Agency, Peter uses that access to try and discover the truth about Charles. I’m not sure what inspired the story exactly. I think the story started as I was brainstorming new Sherlock Holmes ideas but then morphed into something else entirely. The first part of the book came spilling out quite rapidly. The rest took much longer. All told I spent almost three years on the whole thing. Sounds like a fascinating project. What’s your favorite aspect to the story? I’m primarily a character writer. I love exploring the depths of people. When I write, I fall a little bit in love with my main character(s), and so Peter himself is one of my favorite aspects. The way he thinks, the deep well of his feelings . . . There is a scene in which he comes home to an empty flat (apartment) and thinks Charles has left him, and his response is, I think, beautiful. A testament to how quickly he fell for Charles, how important Charles has become to him. That was a tough scene to write because I had to feel everything for Peter and it was painful, for him and me! So this is no fast-paced James Bond of a story. It’s more psychological. I liken it to John Le Carre’s works. I also hurt for my characters when they’re in pain. How do you approach your stories? Do you plan ahead or do you go by instinct? I have a weird hybrid of planning and feeling it out. I go in with usually only two things: 1. A scene that I’ve played over and over in my head until I’m ready to write it down, and 2. A vague idea of how it will end. The middle is always mushy and up for grabs. It’s sort of like having two points on a map but it’s up to me to figure out how to get from A to B. And the scene I have might not even be the first scene. So I’ll write it, then decide what, if anything, needs to come before. So what I’ve really got is a point in the story and an end point, but I sometimes still need to find a starting point! It’s not the most efficient way of writing, but it’s the only way that works for me. I can’t outline. I can’t work under too much structure. I do, however, keep a notebook beside my computer, and I will write down plot questions and then answer them so I can understand WHY things are happening. I think motivation is important. That’s a character thing again. I’m really all about character. So I take it you have substantial edits by the time you’re done with your rough draft? I wish I were a fast writer who could spit out a first draft and then get down to editing. I really do believe that’s actually the best way–just get it on paper and then perfect it. Alas, I’m not that kind of writer. I can’t speed through the first draft. I pick at it and fret over it. I want it to be perfect the first time, and then of course it isn’t and still has to be rewritten. When I finish a draft, I have to give it to others to read. I’m too close to the material; I won’t see the flaws as clearly as they will. My husband reads it and so does my critique group. I ask them to mark anything that doesn’t make sense, anything that slows things down, whatever. Most of them will also mark spelling and punctuation, but that’s not crucial at this stage. Then it might still be a while before I’m ready to tackle the story again. I’ll usually try to go write one or two short stories, a short play or something between novels. Right now I’m doing a rewrite on a YA fantasy. One of my critique partners slashed whole chapters at the beginning because she wanted to the book to get to the action more quickly. It was valid, and I think it makes the book better, but it was still painful to hear that I needed to cut huge chunks of material! Back when I was an editor, we would call that a “bleeder” because of all the red marks on the pages. I also swear by having my books critiqued. What’s your best advice for finding a critique group? I lucked into mine. I met someone at a writers conference who turned out to be from the next town over from mine, and she already had a group and they invited me to join. We meet weekly which, based on what I hear from other writer friends, is more than many groups who meet maybe once or twice a month. But of course all of us might not make it to every meeting either. It’s very fluid and comfortable and I can’t imagine a better group. If I were going to go looking for a group? It’s easier, I think, to start online. But the person-to-person aspect is important, too. Body language sometimes says a lot more than words being spoken. And you can hug one another if you’re face to face! So I would check with local libraries to see if there are any groups, or maybe post at the library to start a group. Local bookstores might also know of writing groups, and certainly there are local chapters of writing associations (here we have the California Writers Club). They can usually hook you up with a critique group if you become a member. Good tips. 🙂 Last but not least, where can people find you and The Fall and Rise of Peter Stoller? Well, my main site is here. 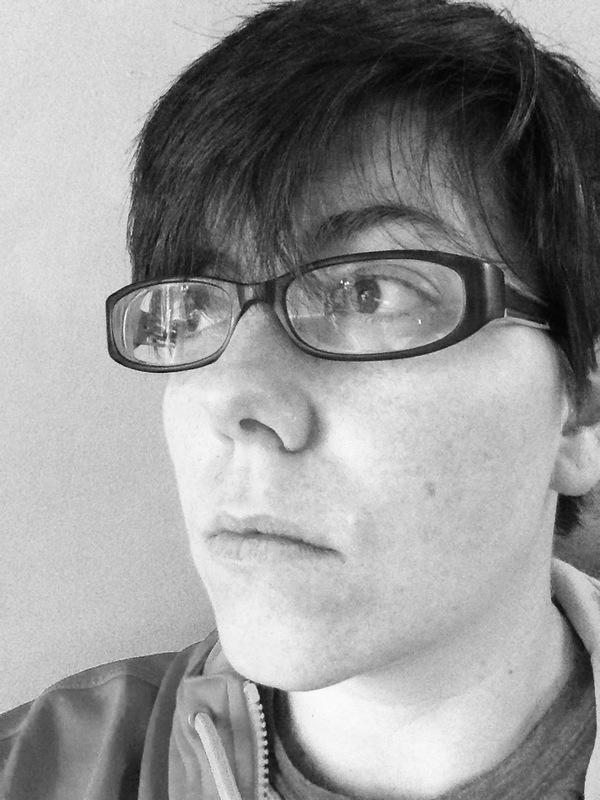 I’m also on Facebook and on Twitter at @sh8kspeare. 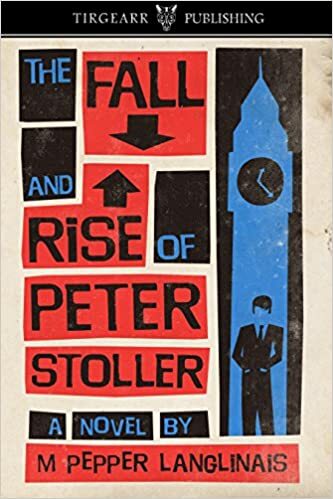 The best place to find The Fall and Rise of Peter Stoller is on the publisher’s website. 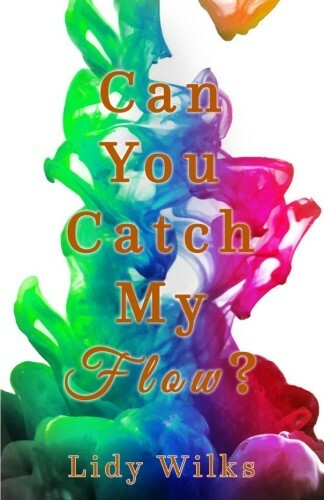 There’s an excerpt there and all the buying links for various formats/e-readers. It’s only available as an ebook for now, but if it does well enough the publisher says it will consider a print version. 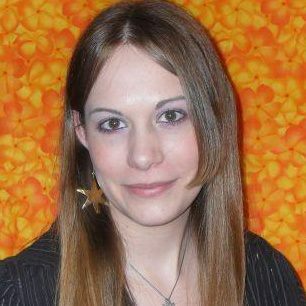 You can also find all my books on either the Shop page on PepperWords, or on my Amazon author page. Anyone else wanting to sign up to be featured is more than welcome. (Regardless of whether they’re published or not.) All you have to do is mail me at mishagericke(AT)gmail(DOT)com with “Thursday Feature” in the subject line. Who else gets empathetic pains when their characters suffer?